We work closely with clients to structure their affairs in the most tax efficient way. 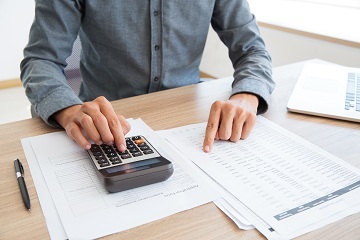 Our tax planning team have the technical knowledge, experience and ability to deliver a wide range of tax planning solutions for our private clients. We have a wide range of skills and experience in all taxes pertinent to your circumstances. Our Private Client Tax team, Corporate and Business Tax team and advisers at Meer Wealth Management, all work closely together to deliver a completely integrated tax planning solution for private individuals and their businesses. We are proactive and not reactive with our clients. We are continually providing clients with tax planning solutions relevant to their current situation and which can contribute to longer term personal and wealth creation objectives. You have any source of income which is not taxed at source sufficiently. In addition, you may wish to complete a self-assessment tax return in order to claim any tax reliefs or allowances due to you, or if you have made losses which can be claimed for current or future use. We are confident of offering our private clients a wide range of tax planning solutions, integrated tax planning as well as proactive wealth development and management services. With proactive advice before a transaction, significant Capital Gains Tax savings can be made. Using advance structuring or by planning the nature and timing of disposals it may be possible to reduce the capital gains tax payable from 28% to 10%, or potentially defer or eliminate this altogether. Our team have advised on all types of asset disposals, from residential and commercial property to owners of businesses involved in significant corporate transactions. We will provide Innovative solutions and planning ideas,integration of personal and business Capital Gains Tax planning and post-transaction tax planning options. We offer clients advice on Residence and Domicile matters and Expatriate Tax as it relates to Income Tax, Capital Gains Tax and Inheritance Tax. Our tax planning team can provide bespoke advice to clients arriving or leaving the U.K..
Tax Efficient Investments often form part of an individual’s overall tax planning and wealth management strategy. Our tax planning team has significant experience and knowledge of Tax Efficient Investments. We work alongside advisers at Meer Wealth Management to provide integrated advice on how these may be used as part of a client’s Income Tax, Capital Gains Tax and Inheritance Tax planning. An integrated tax and wealth management service. Significant experience and knowledge of this complex area. Comprehensive advice from both a tax and investment perspective. Advice linked to long term estate planning objectives.